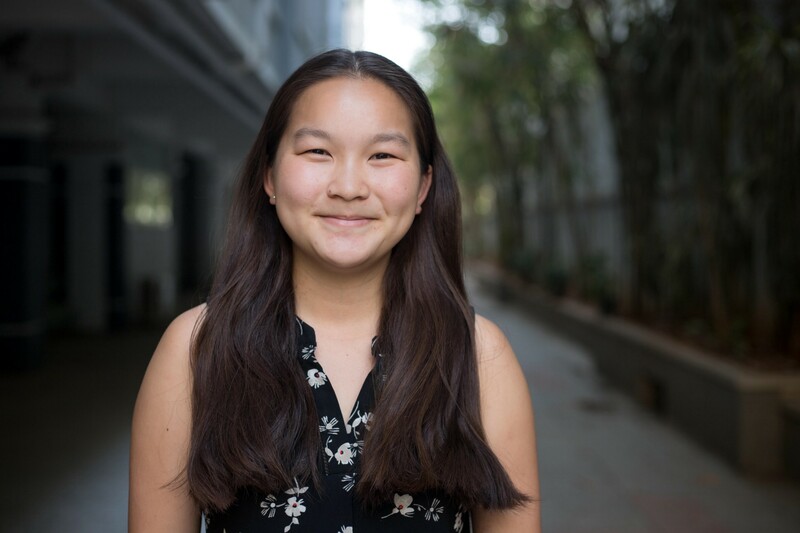 Meet Shiao-li, a student in the Class of 2020. Why did you choose to attend Minerva rather than a school with a traditional campus environment? The way I found out about Minerva was actually in a Sunday Times article that Kayla Cohen from the Class of 2019 wrote a year before I needed to apply. My mum shared it with me and I thought it sounded interesting. It had been sitting on my desk when it came time to apply to schools. I had applied to five U.K. universities and had also tried for Harvard and MIT. Then I remembered this Minerva Schools article sitting on my desk and thought, “I may as well give this a go.” So I completed it during February half term and I found out about my admissions decision at boarding school on FaceTime with my mum and dad. I spent my Easter break deciding between Minerva and the MORSE course at the University of Warwick. I sat down and wrote a list of pros and cons. My parents said they’d be supportive either way, which was even harder in a way because ultimately the decision was up to me. The opportunity to travel, taking a risk and going into the unknown, and seeing what a different type of education was like was what convinced me to choose Minerva. I know if I hadn’t come I would have been constantly wondering what it would have been like if I had. What major and concentrations do you intend to pursue? I am planning to major in Computational Sciences. Math has always been a passion of mine and I am choosing concentration courses that are more applied math-oriented than coding-oriented, still in keeping with the areas that I would have pursued at Warwick if I had chosen to go there. Having taken a few computer science courses, I have seen how useful coding can be to optimize processes and have started learning SQL in my spare time. I am also taking a few natural science courses, a bit of physics and a bit of chemistry because I really enjoy and want to continue them, not necessarily for a particular career path, but because I enjoy learning about these topics. Tell us about a memorable experience you have had in one of your classes. There are so many, since students often make insightful comments or when, due to time constraints, discussions end and I’m left wanting to learn more. I think one of the most insightful experiences was during an Arts and Humanities class, when the professor flipped the roles and asked a student to moderate the debate. When it was my turn to moderate, it was interesting to have a chance to see the class from the professor’s perspective, attempting to keep the debate flowing and give everyone the opportunity to contribute. It furthered my appreciation for the professors, understanding how the flow of an activity and participants’ comments influence students’ ability to comprehend the content. Outside of academics, what are some of your interests? I really enjoy baking and find it a great way to relax and destress. It’s a great break from academics and other people can enjoy the baked goods. I grew up on an island where watersports would often feature; now, I swim and scuba dive whenever time and circumstances allow. Another hobby of mine is skiing. My family and I spent a few winters in the French Alps when I was younger. Since then, I’ve tried to go skiing every year. Last year, I went skiing at Lake Tahoe with a few classmates. I also recently started learning to play bridge. As a child I played card games a lot with my family and used to watch them playing bridge, but I didn’t start learning until a couple of years ago at an after school club. Now, at Minerva, one of my friends, who represented his country in bridge competitions, teaches me every so often. What do you aspire to do when you graduate? I’m still not sure of my career path. During my time in San Francisco, I became interested in the field of edtech (education technology). This summer, I will be doing an internship in San Francisco at Edpuzzle, an edtech company that allows teachers to create interactive videos for the classroom. I would definitely like to have a job that incorporates math and would like to be able to make a difference, even a small one, and positively impact people’s lives. That would be fantastic. What has been a favorite moment of yours in the city you are currently residing? One of my favorite moments so far in Hyderabad was during Exploration Day, when we visited Gokul Chat, a street food outlet. We were challenged to try as many different dishes as possible at this landmark. The hustle and bustle inside was a sign that the food was good and ordering was a case of holding your ground and shouting the loudest. It was totally worth it for the delicious plates that followed. The dahi puri was amazing! What do you enjoy most about being a part of the Minerva community? For me, something I hadn’t anticipated experiencing is the community spirit. It’s one of the most amazing things about being in such a small cohort. I know every single person in my year and I know nearly everyone in the year above. Everyone is willing to answer a question or help someone who’s stuck, and you’ll always find someone somewhere to hang out with if you want. What would you tell another student who is considering Minerva? One of the great things about Minerva is the close friendships that develop from traveling around the seven different cities together. We also have the opportunity to immerse and integrate ourselves within each city, seeing it in a different light to those who visit them on holiday. However, you’ve got to be prepared to put in the work. As with any other university program, there is a lot of academic content covered. But if you are willing to work hard, there are so many opportunities to pursue!